When a lot of people hear about artificial intelligence, or artificially intelligent robots, they worry about technology that could be created to take over the world, like the world of the Terminator movies. Technology now is designed to make life easier and to make the things we do happen more efficiently. But when people hear the world technology, does it make them happy? Does it bring a smile to their face? AI Pets are a way to change that. AI Pets are artificially intelligent pets, and their sole purpose is to be loved by you, to bring you comfort. GROOVE X is a company developing an AI Pet called the LOVOT. The name LOVOT comes from a combination of the word love and robot, and that really represents what the LOVOT stands for. GROOVE X is based in Japan. They want to make the LOVOT to help strengthen the bond between humanity and technology. Their aim is to make a robot that “touches your heart”. According to their website, GROOVE X is hoping that this project will help encourage other companies in Japan to get out there and try to get a place in the global market. They plan to do this by someday becoming a global company and selling the LOVOT worldwide. They want to help Japanese industry get back into the global competition. If they can get into it and establish their place, then it’ll be proof to other Japanese companies that they can do it too. The LOVOT’s purpose is simply to make you happy. GROOVE X has focused all of their energy into developing the best robot that they can. It is the only project that the company is working on at this moment. They have put in hard work to make the LOVOT seem as natural and real as possible. To do so, they’ve looked at the evolutionary process of living beings. They’ve used the technology of the LOVOT, which will be discussed later, to make the LOVOT seem as alive as it can be. It can react to your mood. They react to the way that you treat them, so if you show them love, they’ll keep coming back for more love, like a real pet would do. On the flip side, if you’re hateful towards them or treat them poorly, they’ll probably avoid you for a while. Their eyes are as lifelike as they can be with multiple layers of graphics to create the illusion of blinking and moving eyes. These eyes can even be different colors and styles, such as bigger brown eyes or slim blue eyes. Like a dog or cat, when they get attached to their person, they will even follow them around the house like a shadow. They’ll stare at their person until they get the affection they want. When they get that affection, the wheels they use to move around retract into their body so that they don’t harm or get the person dirty that is picking them up. When cradled like a toddler, they may even fall asleep in your arms! These little robots are giving people the sense that they’re taking care of something, which can greatly help to improve someone’s mood. Robots similar to the LOVOT are even being implemented into therapy sessions in places like Japan. Thanks to the tech the company has put behind this little machine, the LOVOT is able to accomplish this. On its body, it has over 50 touch sensors that tell the computer inside what is being done to it, similar to how humans receive stimuli and react based off of that. If it recognizes that it’s being tickled, it’ll laugh. If it knows that it’s getting a cuddle, it might coo. These stimuli are sent to the main computer, which has 4 CPU cores and 8 gigabytes of RAM, which is actually half of what most people recommend gaming computers to have nowadays. There is also a sub computer attached to the main computer with another 4 CPU cores and 4 gigabytes of RAM. RAM stands for random access memory, so the more RAM it has, the more it will be able to process at once. The LOVOT isn’t preprogrammed with responses, which means that it relies on artificial intelligence. The battery on this machine lasts around 45 minutes, and when it gets low, the LOVOT will go to its charging station, called a “Nest”, where it’ll charge back up for 15 minutes. While it charges, it will process the things that it experienced during that time, and it’ll remember what happened. This is similar to how whenever people sleep, the memories that are stored in their hippocampus will transfer into deeper parts of their brain so that they’ll have long term memories instead of temporary ones. 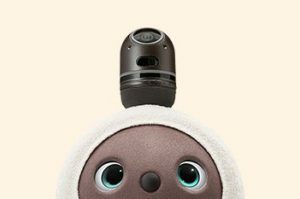 At the top of the LOVOT, you’ll find the “sensor horn”, which has a luminosity sensor, half sphere camera, microphone, and a thermal camera. With these things, it can determine what time of the day it is, it can use facial recognition to recognize the person that they love, they can listen to what’s going on around them, and they can tell the difference between a living thing or a nonliving thing standing in front of them. 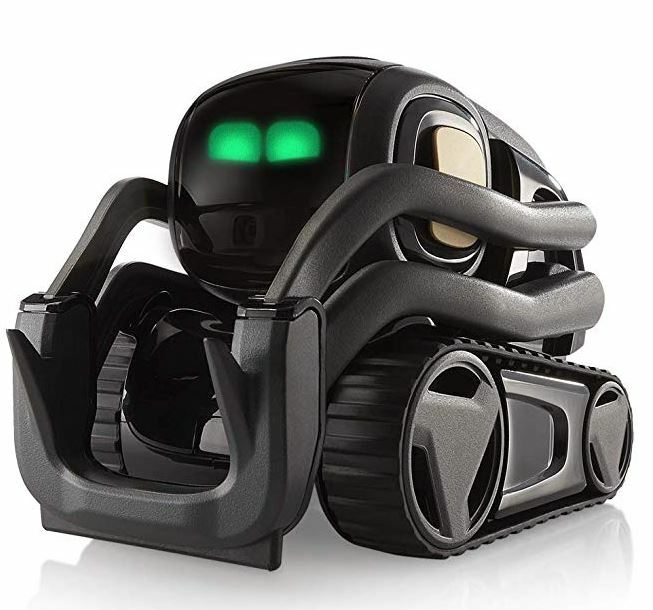 The bottom of the LOVOT has a distance sensor, obstacle sensor, and a depth camera in order to help them get around without bumping into things in their way. There’s even an app that can be downloaded onto a smartphone that’ll connect to the LOVOT and send it the location of the user so that it’ll know when they’re coming home. When they get near home, the LOVOT will stand near the door so that they can greet them when they get there. The LOVOT will be a benefit to humankind because it will give people an opportunity to feel like they’re showing love to someone. It could be a way to cope with tragedy. If a mother goes through a miscarriage and feels grief from being separated from their child, they can have a LOVOT to help with that grief. People that deal with anxiety or depression could have a companion to hold when life gets to be a little too much to handle. In addition to the therapeutic help it could present, it could also help people have a better relationship with technology, because there are still many people out there that are worried about artificial intelligence, robots, and technology as a whole. It can help people begin to trust technology like they haven’t before. This little guy is available for preorder in Japan and will be ready to ship by winter of 2019. It will be available in the United States in 2020. The estimated price to purchase a duo set is 598,000 Japanese Yen, which is equivalent to $5487.85 USD. A solo set is 349,000 Japanese Yen, or $3202.77 USD. But don’t worry! They offer a payment plan. The advancement of technology doesn’t mean the world has to become one purely of efficiency. With AI Pets like the LOVOT, technology can also bring the idea of love. Technology can become something that has emotion behind it. Just because technology becomes more advanced, it doesn’t mean that humanity has to become more isolated. Technology can bring us together.